San Fernando's Trusted Home Remodeler for 30+ Years! 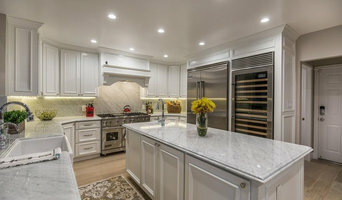 Husband-Wife Team | General Contractor and Interior Designer | Full service residential and commercial interior design and architectural design-build services based in Los Angeles serving clients nationwide. Cliff + Laura’s work can be seen in such publications and media as Architectural Digest, Architectural Record, Better Homes & Gardens, Dwell, Elle Decor, Metropolis, Hospitality Design, Vanity Fair, HGTV, Martha Stewart, California Homes, CA Home+Design, Domaine Home and more. Laura was voted to Modenus Designhounds' Top 15 Influencers (2018, 2019) and was selected to the prestigious 2018 DXV Design Panel. Our mission at Four Point is to work closely with our clients in a way that provides optimum project communication, creativity, trust, and a clear and continuous understanding of the design process and its’ nuance. 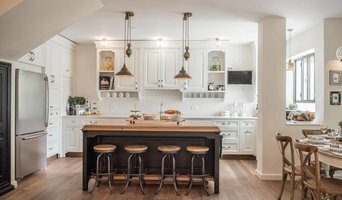 It is Four Point’s commitment to cultivating, building, and leading a strong project team of experts; working closely with all project team members during every phase of project development and execution; our attention to every detail; and our Clean Fresh Modern signature design style, that sets us apart. Our fully integrated approach to each project allows the entire team to provide clients with thorough, thoughtful, and creative solutions to every challenge from the very first meeting. 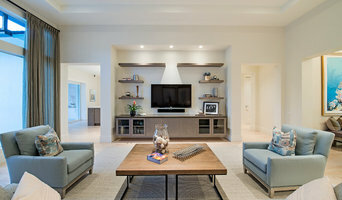 Our strong collaborative style encourages a positive and inclusive process, and our long lasting relationships with architects, engineers, specialists, and suppliers allows us to bring you an unmatched depth of expertise in comprehensive project management, luxury interior design, and construction excellence. SERVICES INCLUDE || INTERIOR DESIGN | SPACE PLANNING | INTERIOR ARCHITECTURAL DETAILING AND RESOURCING | PROJECT MANAGEMENT | REMODEL | RENOVATE | RESTORE | REFRESH | NEW CONSTRUCTION SUBSCRIBE || THE 4PT REPORT For interior design and construction industry news and updates, means and methods, insight, and takeaways to help you navigate your next project, along with interior design and lifestyle tips, trends and inspiration SUBSCRIBE to our NEWSLETTER at www.fourpointdesignbuild.com/contact/ SOCIAL MEDIA || FOLLOW US on Instagram, Facebook, Twitter and Pinterest at @4ptdesignbuild and join the conversation! Custom Residential Architecture. New Homes and Residential Remodels. Architecture and Interior Design. 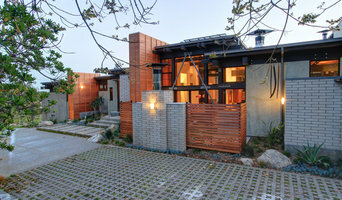 CJ Paone | AIA is an award-winning architect and designer in Ventura, CA. He founded Archipelago Workshop in 2003, and specializes in residential architecture, landscape architecture, and custom architectural details. CJ earned a Bachelor of Architecture from Cal Poly San Luis Obispo, attended the Czech Institute of Technology (CVUT) Summer Studies program in Prague, and studied at the Virginia Tech Architecture Consortium in Washington, DC and Alexandria, VA. He’s a maker as well: his work as a framer and cabinet builder adds substance and practicality to his theoretical training. Moving to Colorado after school, he gained large firm/large project experience with Urban Design Group in Denver, added civic building design work with OZ Architecture, then turned to custom residential design with Harvey M. Hine Architects in Boulder. 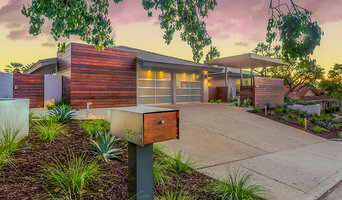 He continued his focus on residential design after returning to California, joining Andy Neumann and NMA Architects in Carpinteria. Now, more than a decade after founding his own studio, he works to satisfy his passion for creating and enhancing environments that inspire his clients and reflect their own unique lives. Like the island chains for which his studio is named, CJ’s projects are each distinct, but part of a greater whole that connects his spaces – and those who live in them – with the environment. He draws inspiration from the natural world, and from the diverse designs of cultures around the globe. Focusing on residential and commercial projects, Open Mode was founded in 2015 on the principle that collaboration and communication are the basis of every design. Every project's success relies upon a strong partnership between the project team and client. Open communication, open flow of ideas, and open concepts is what we strive toward with each client and project.